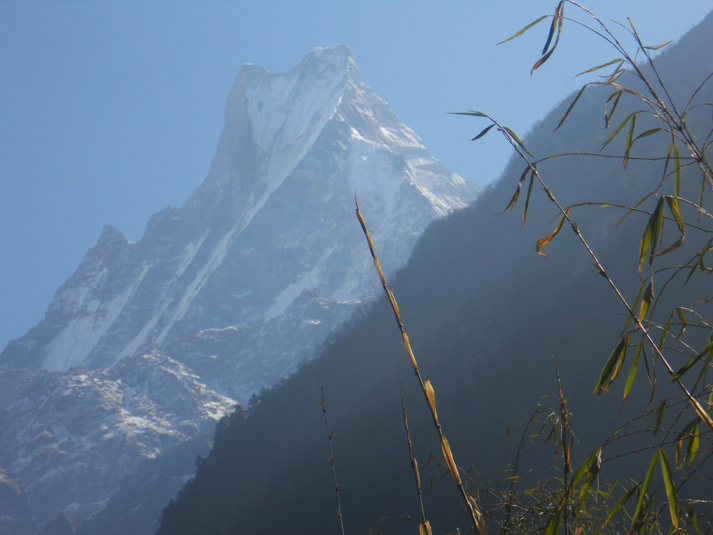 The Royal Trek Annapurna Skyline Trekking is an easy, short trek from Pokhara and offers stunning mountains views. 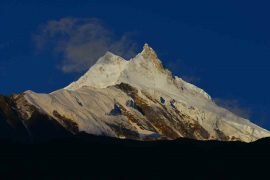 It gained its name because Prince Charles and an entourage of 90 guests took this route to discover the Annapurna region back in the 80’s . 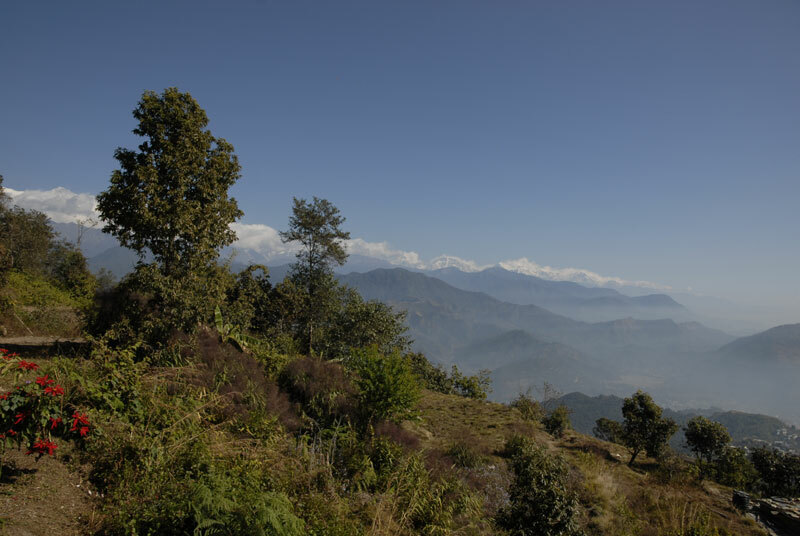 Follow the footsteps of His Royal Highness on this short trek from Pokhara! The Annapurna skyline trekking route is not very busy, with only a few other trekkers. 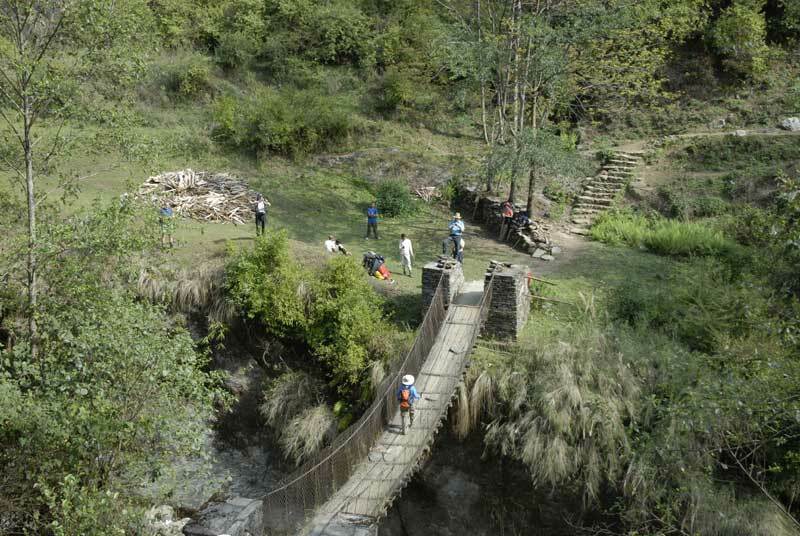 This makes the Royal Trek a quiet, peaceful walk along the beautiful views of the Annapurna mountain range. This trek isn’t known as Royal Skyline Annapurna Trekking for nothing! Besides mountain views and cultural experiences, this routes also takes you along beautiful paddy fields (rice terraces), local vegetable farming, a Rhododendron forest, Sal Tree forest, and many more types of local plants, flowers and vegetation. The Annapurna Skyline trekking is a great opportunity for learning more about plants, flowers and different types of insects, including many native species of butterflies. Due to the forests and lush vegetation, this area is also well-known among various types of birds. Let us know if you’re interested in birdwatching, then we will introduce you to varieties of Nepali bird species during trekking. Besides the skyline views of the mountains and landscapes of the Annapurna region, you will also learn more about Nepali people, their culture and traditions. Along the walk, we will visit a few Hindu Temples and Buddhist Stupas. Moreover, the Annapurna Skyline trekking route is the perfect opportunity to have an authentic village experience in a short time. You will get to know the Gurung, Brahiman, Magar and Chhetris communities, and see houses of Vaishya and Sudhrahs as well. 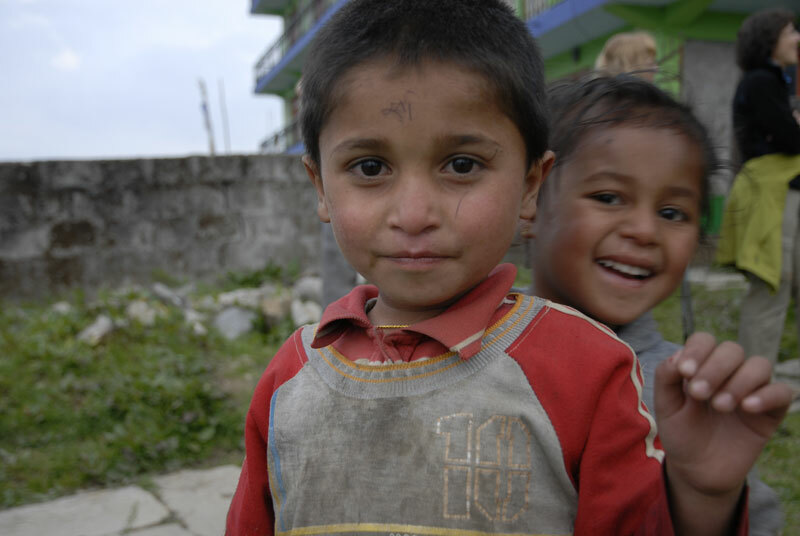 Experience Nepali culture first hand, where it has remained unchanged for many years. 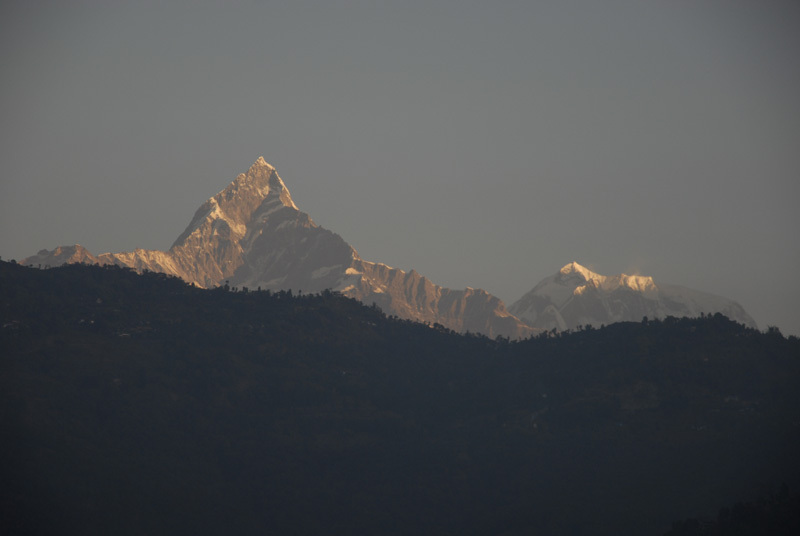 You are going to start the short trek from Pokhara. So, today you are heading to Pokhara and you going to spend a night before you start the Royal Trek Annapurna Skyline Trekking. There are two ways of reaching Pokhara from Kathmandu: You can either take a domestic flight which takes around 30 minutes, or, another choice is to take a road trip by car, van or bus. That takes around 7-8 hours, but is definitely worth it! The road to Pokhara passes through breathtaking views of the Himalayas, along Trisuli river, green valleys, rice terraces and local villages. Depending on your arrival time, or if you’re already in Pokhara, you can use the day for sightseeing, for example to Davis Falls, Gupteshwor Mahadev Cave, Shanti Stupa (World Peace Pagoda) or a boat ride on Fewa Lake. 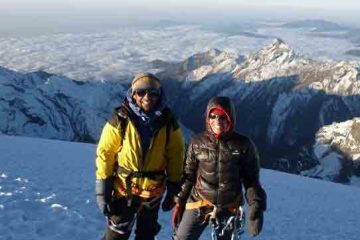 In the evening you will meet your trekking guide to get to know each other and discuss the details for your Annapurna Skyline Trekking trip and time for departure next morning. 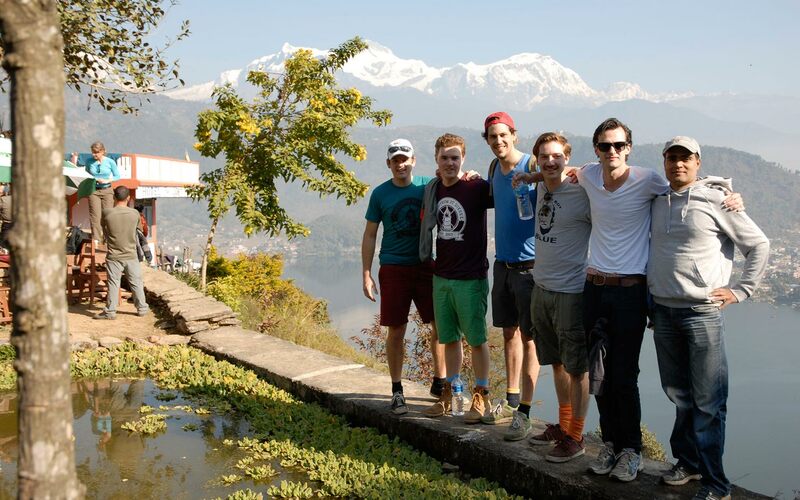 Today we start our short trek from Pokhara into the Annapurna region. After breakfast you will meet Nature Trail staff and drive to Bijapur following the beautiful city view of Pokhara on the Prithvi Highway. It is only a short drive to reach the trekking starting point. From there we cross the river and follow a broad trail that goes through the paddy fields along the river, towards the Begnas Lake, passing Brahmin, Chhetri and Gurung villages. From Kalikasthan, where we end our walk for today, you are rewarded with a great mountain view including Annapurna, Machhapuchhare and other mountains of the Annapurna region. There will be some time after lunch to rest or walk around with your guide to explore the area a little more. You will stay overnight in a simple lodge. Good morning mountains! After breakfast at your lodge in Kalikasthan you start your 2nd day of skyline trekking in the picturesque Annapurna region. Today you will have a beautiful walk along a forested ridge, passing the top of the hill through Thulakhet Mathi Than, which is a great place for tea break. After a short climb and walks along villages, you trek gradually up followed by a section of forest before you finally reach Shaklung Village which is the end of today’s walk and gives you the opportunity for sightseeing after a break. This is your 3rd day of Annapurna Skyline Trekking, and you are heading to Chisopani which located at the altitude of 1550m. Today your journey leads you through rhododendron forest, Sal Trees and lots of ups and downs until you finally reach Chisopani Village. On this trail, you will enjoy magnificent views of Annapurna II, Lamjung Himal, Manasulu and Himalchuli, and the distance splendid view of Dhaulagiri which is just west of Annapurna. Chisopani will welcome you with a large tree, chautara, and also shop facilities. 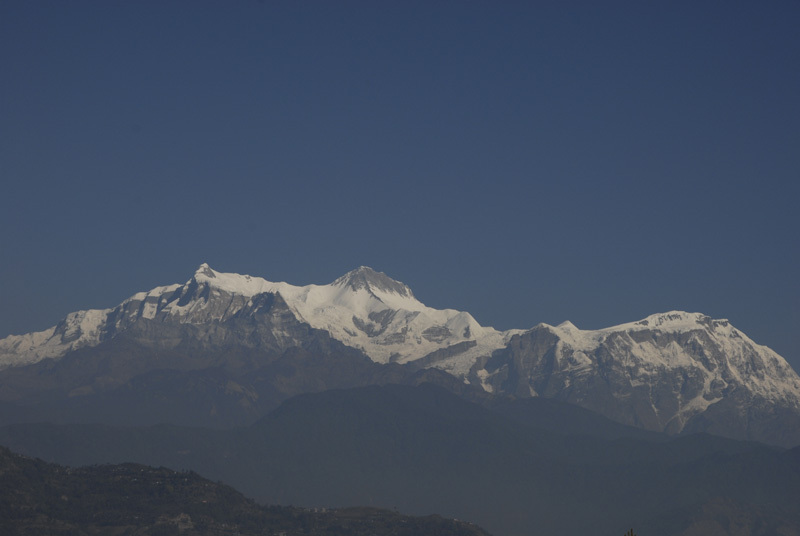 For the entire trek, this is the best view point for panoramic views of the Annapurna mountain range. The temple located above the village is something you shouldn’t miss while walking around. Today you have the option to stay in a local home as homestay or in a small lodge. Today is your last day of your Annapurna Skyline Trekking. From Chisopani Danda, you will be descending along the ridge for about an hour. Further you will walk down some stone steps and reach a small valley, where we cross a bridge across the stream that feeds the Rupa Lake. On the walk, you will have lots of interactions with local people who are going or coming on the same trail, which makes this section quite interesting and unique. Continuing for a short distance, the trail passes rice fields, green hills until the final ascent to the ridge of Begnas and Rupa Lake. If you like you can spend some time in Begnas’ Lake Bazaar before we take a ride to Pokhara. After that, it is time to say goodbye to your guide and porter. 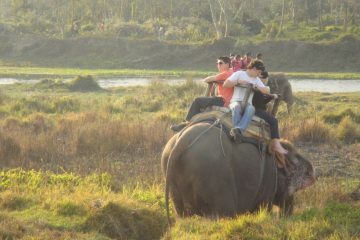 The afternoon activity is up to you, there are many things to do in Pokhara. How about some shopping or a massage for relaxation? If you like to come back to Kathmandu, you have the options to take a flight or a bus ride again. Once you reach Kathmandu, Nature Trail staff will meet you to talk about your experience and check your departure time so that we can arrange your airport transfer. Annapurna skyline trekking is one of the famous short trekking routes in Nepal, with stunning views on the Annapurna mountain range. In 1980, the trek was used by British Prince Charles and since then it is also known as Royal Trek. The flat roads make this a very comfortable route, ideal for people without previous trekking experiences. 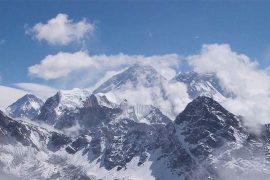 Within short period of time you will have magnificent views of the Annapurna Massif, including Machhapuchhare, Annapurna II, Himalchuli, Lamjung Himal, Mount Manaslu, and Dhaulagiri range. Enjoy the marvelous views of the landscape, local villages, valleys and panoramic views of the mountains. The right accommodation for everyone! Want to feel a little more like His Royal Highness Prince Charles? Then chose to stay at the luxury lodges along the route, that invite you to stay a little longer and be treated like a prince! For the more adventurous among us, we also offer fully catered camping packages. Enjoy a picnic-type breakfast and lunch, prepared my our cooking team, and an evening dinner under open air. The low altitude of this skyline trekking route through the Annapurna region makes it suitable to trek here all year round. However, July and August may not be the best time, as it’s likely to rain a lot and turn the paths into mud slides. 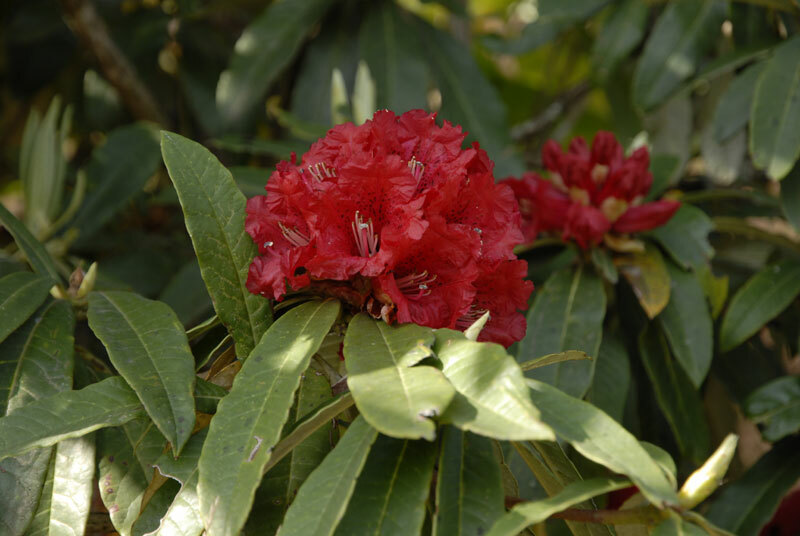 The ideal time for this trek is around mid-September all the way until mid-June. Want to hike in winter? No problem! The low altitude also prevents excessive snowfall in this area. If you have a little more time, you can extend your trip by, for example, adding a boat ride on the Begnas Lake or Rupa Lake to your itinerary. Another option is to enjoy Pokhara a little longer. 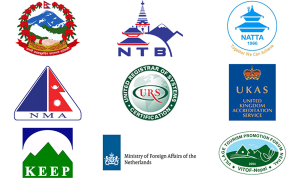 There are all kinds of activities here, such as Paragliding, Ultra-light flights, mountain flights, Ziplining, or day hikes to Sarangkot or the World Peace Stupa. You won’t get bored in Pokhara, that’s for sure! If you are starting this trip from Kathmandu, you should consider extending your stay to stop somewhere along the way, for example in Bandipur or Gorkha Village, for a night, before you start the short trek from Pokhara. What about a couple of days white water rafting on the Trisuli River? There are a few very nice lodges along the river who offer rafting and overnight stays. Nature Trail Travels offers special deals with with the lodges, or the option to camp along the riverside. 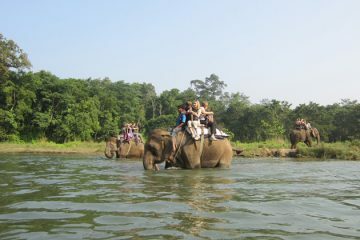 Lodge trek with all meals (breakfast, lunch, dinner) and 3 nights accommodation in tea house lodge. Transportation from Pokhara to trekking starting point, and to Pokhara. Please call us +9779851022394 or email us at info@allneapl.com for any further details or any queries.